Panduit Self-laminating printer label in white color, has clear vinyl construction for long lasting print visibility. 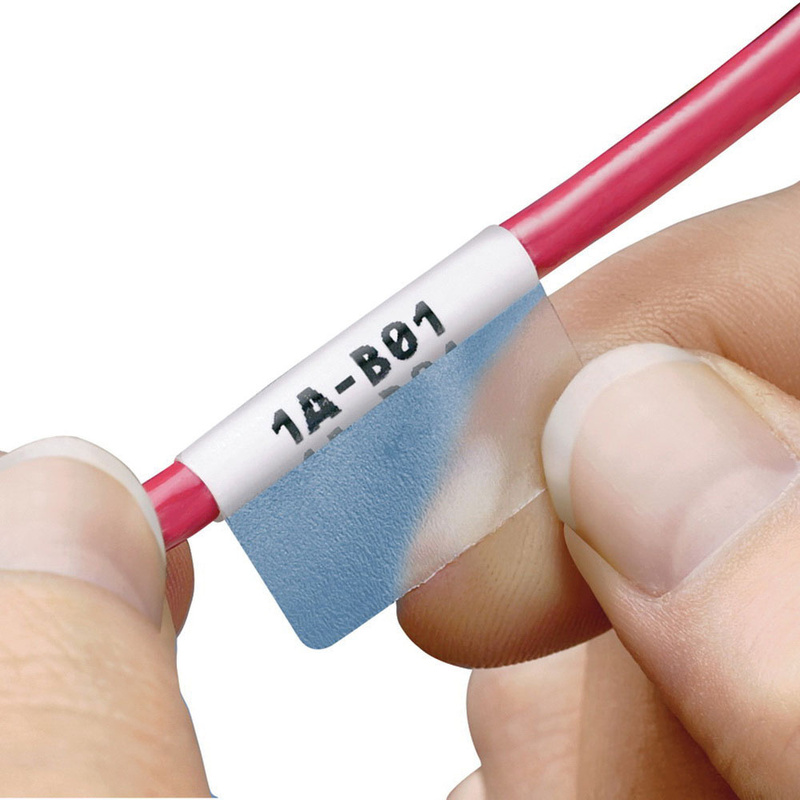 It has 0.25-Inch printable area and wire size ranging from 14 to 18-AWG. The text is printed using thermal transfer print technology. It includes 350 labels per cassette. It has both label material and ribbon for easy label changing. The label withstands a temperature ranging from -50 to 225 deg F. It is compatible with PanTher™ LS8E handheld thermal transfer printer. This label measures 0.75-Inch x 1-Inch. It is suitable for indoor and outdoor applications. The self-laminating printer label meets UL 969, CUL C22.2 No. 0.15-01 and RoHS standards.